Scalibor Tick Collar for Small & Medium Dogs controls tick infestations for up to 6 months. The collars are also effective in the control of blood sucking sand flies and mosquitoes. 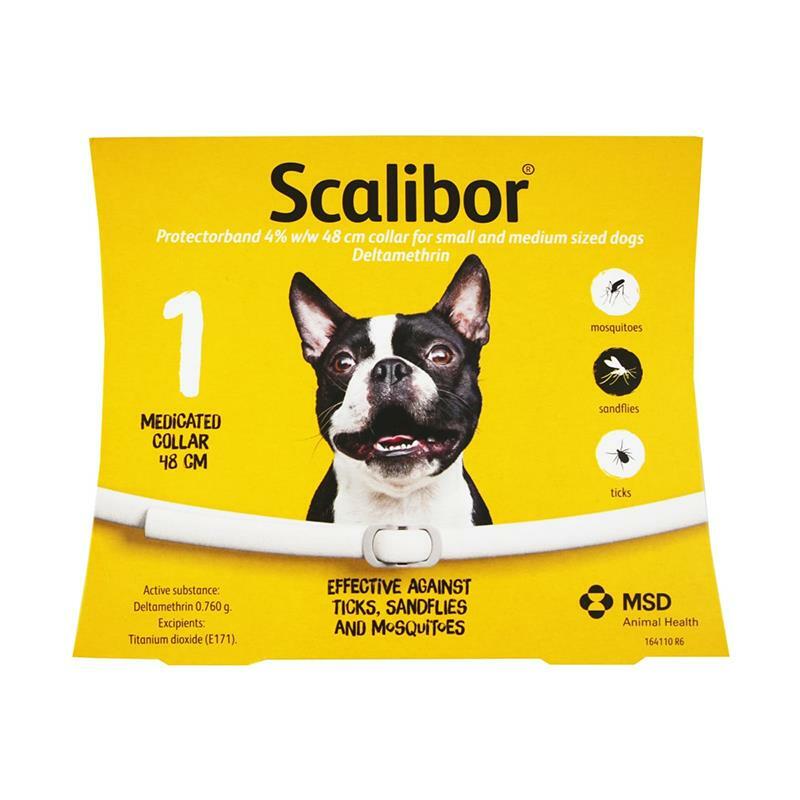 Scalibor collars is safe for use in puppies from 8 weeks of age. Control of infestations with ticks (Ixodes ricinus; Rhipicephalus sanguineus) for 5 to 6 months. Control of blood sucking by phlebotomine sand flies (Phlebotomus perniciosus) for a period of 5 to 6 months. Anti-feeding effect on adult mosquitoes of the species Culex pipiens for 6 months. It is 18.8 inch (48 cm) long and contains 0.76 g deltamethrin per collar.